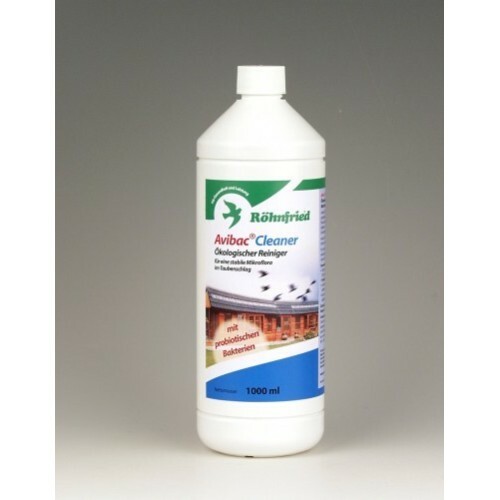 Avibac Cleaner is a disinfectan of the last generation for the loft. It guarantees a 100% disinfection lasting and efective. 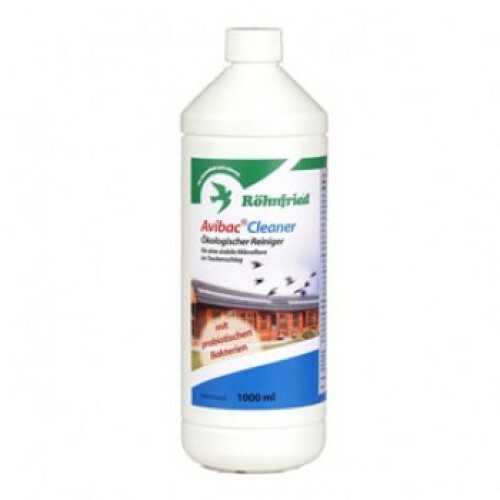 Avibac Cleaner cleans quickly and very thoroughly without scrubbing or brushing and is biodegradable. For a stable and healthy microflora in the dovecote will be applied after the initial cleaning and then regularly or as needed Avibac Stabilizer.